Hey devi maiyya there is so much work to do.. It is jiji’s wedding after all. How many times while playing ghar-ghar I imagined myself as Madhuri from Hum Aapke Hain Kaun. Now why couldn’t Aakash jeejaji have a brother like Salman Khan ji. Jiji had to go fall in love with someone who has that laad governor as his brother. Koi aur achcha bhai bhi toh ho sakta tha..
How can I be Madhuri when that rakshas has the part of Salmanji? Imagine us dancing at the wedding! 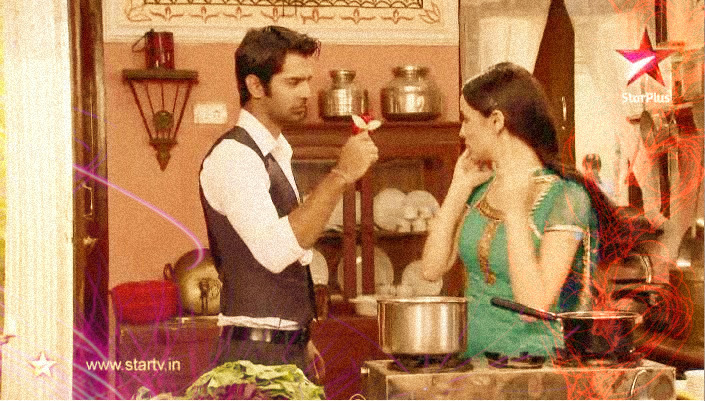 No need to blush khushi and why is it suddenly so hot in this kitchen? So what if we have already danced together. Khushi and laad governor on Teri meri. What was that? Sapna toh nai tha Khushi.. How did he know the steps? Could he have been spying on me.. One can never be too sure where he is concerned.. I better be careful. That could explain why he looks at me in the funny manner these days. As if.. Like he is concentrating. I wanted to ask him if he wanted to tell me something , but better not ask. Most probably he just wanted to scold me..uff buaji was right I really am sankadevi.. How can I go and ask him.. and what would I say? Why do you look at me this way laad governor? Hehehe.. Chup kar Khushi.. Don’t think such nonsense. How crispy the pakora looks. I will make lots and feed lata mausi and taiji, specially. Golden brown and fried just right. yummy.. might as well taste a few to be on the safe side. Ummm.. That rakshas doesn’t like fried food does he? Oh Devi maiyya why does everything make my mind think of him these days? All this pakora batter reminds me of that miracle. Did you also see how he smiled and then laughed? Arnavji looked so relaxed and happy and not at all scary, that day when he fainted. He should eat more. But when does he listen to anyone! Even Anjali ji gets scared of him sometimes. I stand no chance at all. Should I make something for everyone to drink? It is a hot day and amma and Buaji must definitely be over exerting. Nimbu paani? hmm. Something different.. I had noticed a whole basketful lying around . Now where was it? Oranges.. I will make fresh orange jooce. And nai, devi maiyya this does not have anything to do with Arnavji. He is not here and I am not thinking about him. Only just a little.. You remember when I burnt him with tea? And poured jooce in his shoes. He hadn’t held my dupatta. Main pagal hun. He won’t hurt me ever…. Accha? Remember Khushi how he hurt your hand. There were marks where he gripped me. Strong rakshas he was. But he was saying sorry Devi maiyya. He misses his amma. I miss my amma. Are our mothers friends? Do you see them often Devi maiyya? Take care of Arnavji’s amma too for my sake. He loves her. Are you angry with him because he does not believe in you? He is not really bad. He..umm.. Helps me you know.. To get jiji to get to say yes. And the dance. And long back when babuji.. I don’t know why but I feel like he is always there somewhere close by if I get into any trouble. Oh parmeshwari! why should I care if you are angry with him? Do you maybe like him just a little bit? See he may be rude, but Anjali di is nice. He loves di too. So much. That is why I can’t tell him about Shyam Ji. Shayad mujhe sach bol dena chahiye tha as soon as I saw Arnavji that day. He would have taught that evil man a lesson. But how can I break Arnavji’s heart? he will be devastated just like Anjali ji. His di is everything for him. And all of us nothing. Nothing.. I will lay out these sweets. oh all these sweets came from Shantivan. It’s from the same shop yesterday’s havan’s prasad was from. All of us mean nothing? But he bought me those bangles Devi maiyya. Why? Us sab ka matlab kya tha ? Haiye Khushi he must have only wanted to say sorry now that our families are becoming one. I am crazy. Don’t pay any attention to anything I say. I don’t know what I want to read into this. But he found me buying channa and kept saying he was worried something had happened to me. 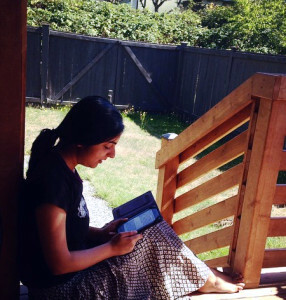 Where is that box of channa ? I need to munch on something. All this worrying makes me hungry. He looked so worried Devi maiyya. And angry. I don’t understand. Was it because I went with Nanheji? I will tell you a secret and then promise me you will forget about it.. I was hoping I would get to go with Arnavji to get the ghee. I waited, but that didn’t happen.. Magarmach.. He could have said he will take me.. Aise toh sab ko darate hai but when needed he will keep quiet.. Aise toh apne samne kisi ko baat karne ka mauka hi nai dete but when I want him to complete his sentences he will never complete them..
Koi baat nai it is good. Nanheji let me sing songs the whole way here. Imagine if I sang with laad governor next to me.. Haha. Khushi stop thinking of all this. Oh somebody left these golgappas here. I can eat a few. They look so good. And no he isn’t here. I won’t even turn to look. Why should he be here in this kitchen? What was I thinking.. How distracting and irritating is this man even in my thoughts. Oh yes. He fought all those men like a hero. Hehee.. For me.. There I go dreaming again. Devi maiyya couldn’t you make me just a little more sensible? There all done! Everything is ready in the kitchen. Do I have time to make some jilebis? There is always time for jilebis, isn’t it? Let me tie my hair in a bun so I don’t mess it. His fingers had grazed my back and he had reached out and opened my clip. He liked me with open hair. What shape are my jilebis taking. My hand is shivering. 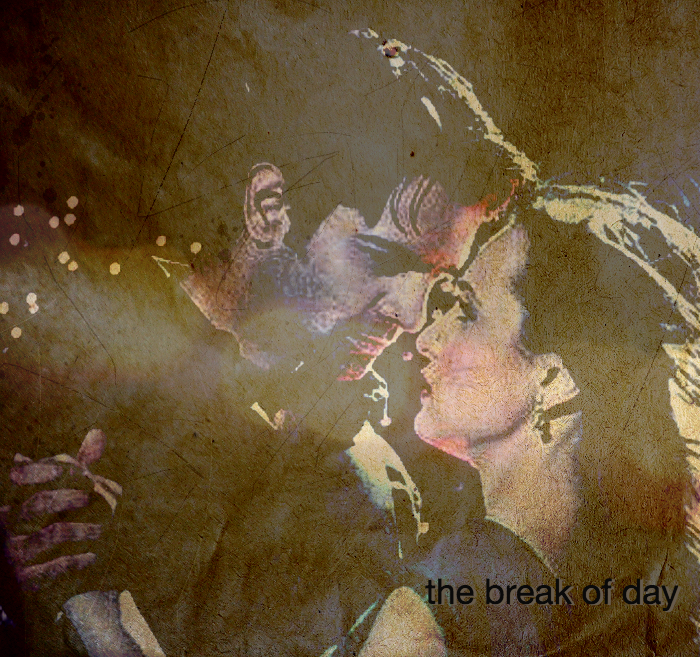 And this deafening thrumming of my heart.. Dhak dhak… stop.. Why did this acidity have to return? There is so much nice food to eat. I cannot fall sick abhi. Chal khushi buri baatein sochna band kar. Sahi se jilebi bana..
Why did he have to stand so close.. And hold my hand .. My hand in his.. my skin so white next to his brown.. Yashomati maiyya se bole NandLala radha kyu gori main kyu kaala.. Krishna bhagwan was dark and Radha fair.. Focus Khushi.. hmmp as if I can’t make jilebis myself. Samajhte kya hai khud ko? I won’t look at that smiling face..
Hey Devi maiyya raksha karna.. If Madhuriji can ask it of salmanji then khushi can ask Arnavji. Time to turn and smile my most disarming brilliant smile at him. What is his smile trying to tell me devi maiyya.. I stare into his eyes and forget everything.. But not today..
Devi maiiya.. He is smiling.. Why do I know for certain my question will be answered today? His lingering twinkling eyes tell me all I need to know. I am no longer scared.. No longer hungry.. I know what I want to hear.. I know what he will tell me.. Humein vishwas hai.. Khud par.. Un par.. Aur Aap par meri pyari devi maiyya.. Thank you Ramya.. Oh yes those were the days for sure.. and how gorgeous both looked? My dhak dhak went into override every time he smirked.. Are you on India Forum? I was not a member when the show was going on. Joined later. but made so many friends there. Hi Ekta I think we have also met on IF.. Happy you liked sankadevi with her laad governer.. Haven’t written anything new recently, but if I do will share here for sure. Hope to see you around. Thanks!